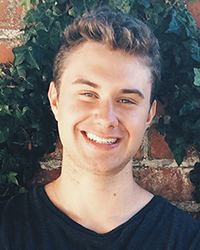 At the Children with Diabetes Friends For Life Conference this month, I had the incredible opportunity to speak to ~100 teenagers with diabetes. 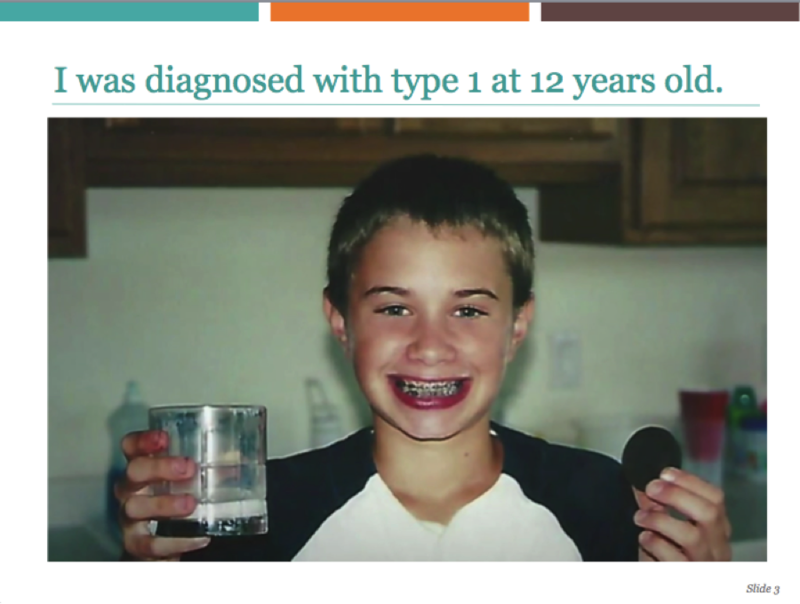 My talk, “10 Tips for Living Well with Type 1,” was a lot of fun to put together, and our team thought diaTribe readers might be interested in seeing it. 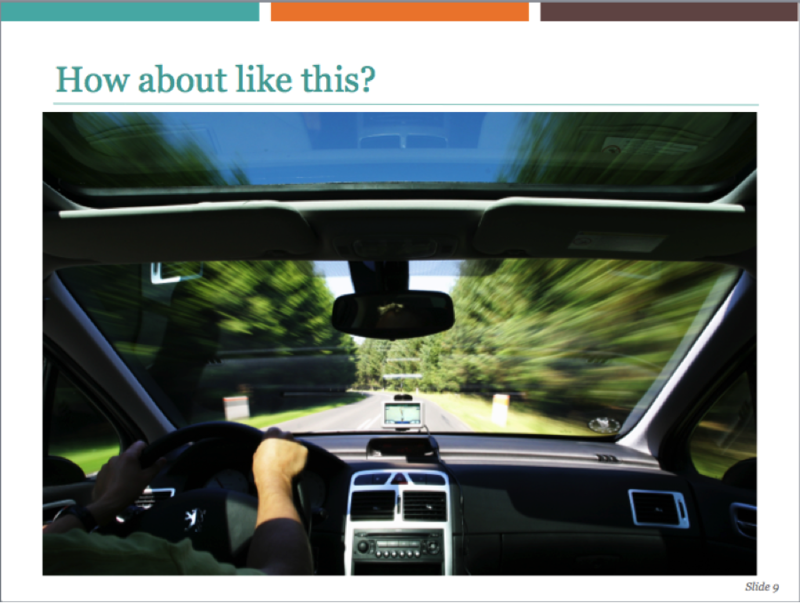 I agonized over how to present this so that it wouldn’t come across as a lecture – even my teenage self would not react well to some of the advice (“Sleep seven hours a night? Hah! I have sports plus exams plus the next level to beat in Halo 3!”). I concluded that the best thing I could do was make this session a conversation, but ground it in lessons I’ve learned over time. Thankfully, I also had the amazing FFL staff by my side to help guide the discussion. 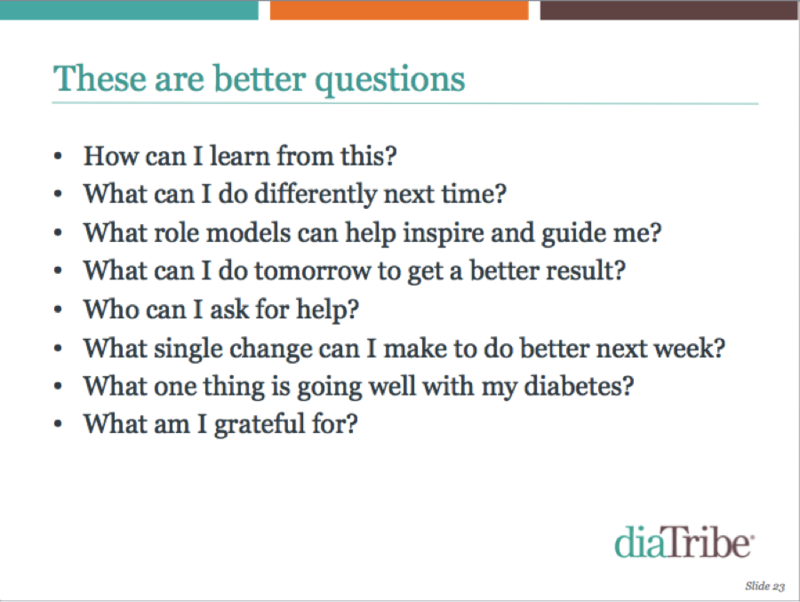 The session reminded me of something that I intuitively know but often forget: each person’s diabetes is completely different, and what works for me won’t work for everyone. And equally important, what works for me may change over time – it certainly has since I was a teenager. 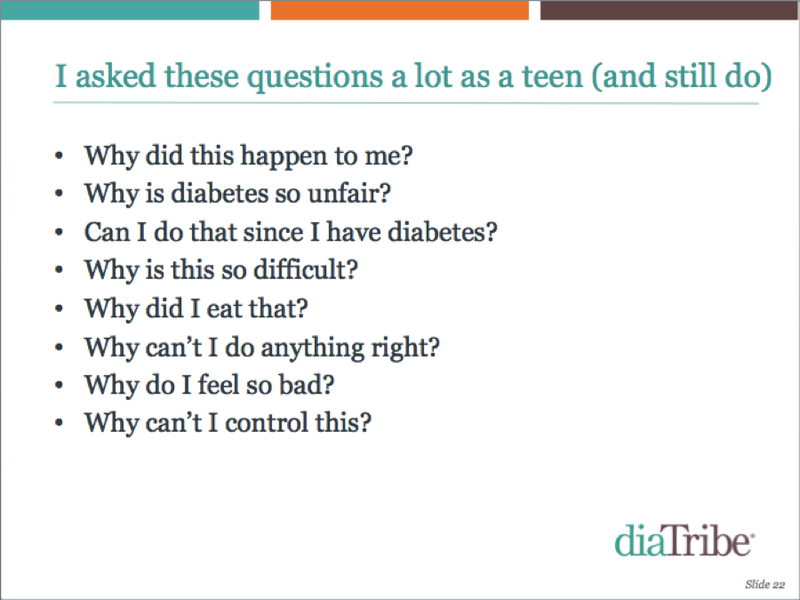 I’m sharing the slides below in case they’re useful, but my biggest hope is that it gets you thinking about your own diabetes. What motivates you? What drags you down? What can you do better today? Who can you reach out to for support? Let us what you think by email or on Twitter. 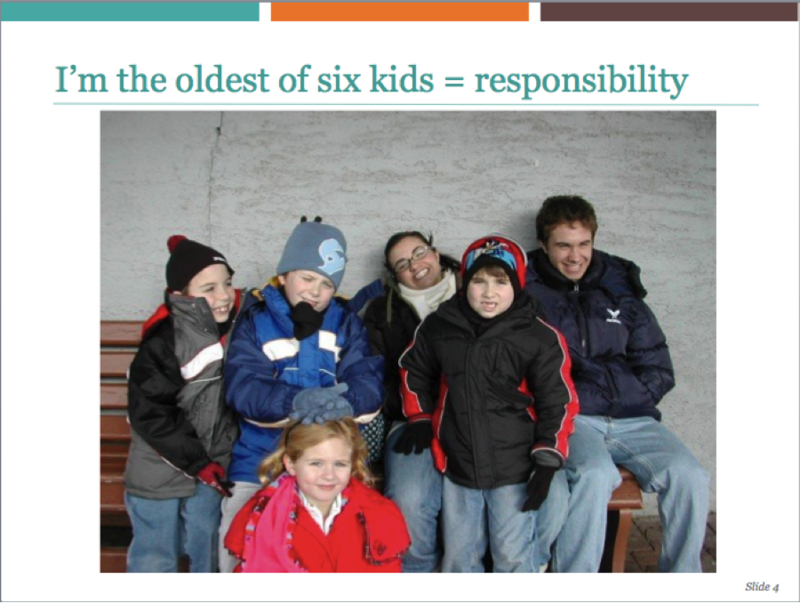 As the oldest of six kids, I had a lot of responsibility from a young age, and my Mom was also a very hands-off parent; both helped me take the reins of my diabetes from an early age. I hope everyone can find the right balance between taking care of their own diabetes, but also relying on their parents for support when needed. 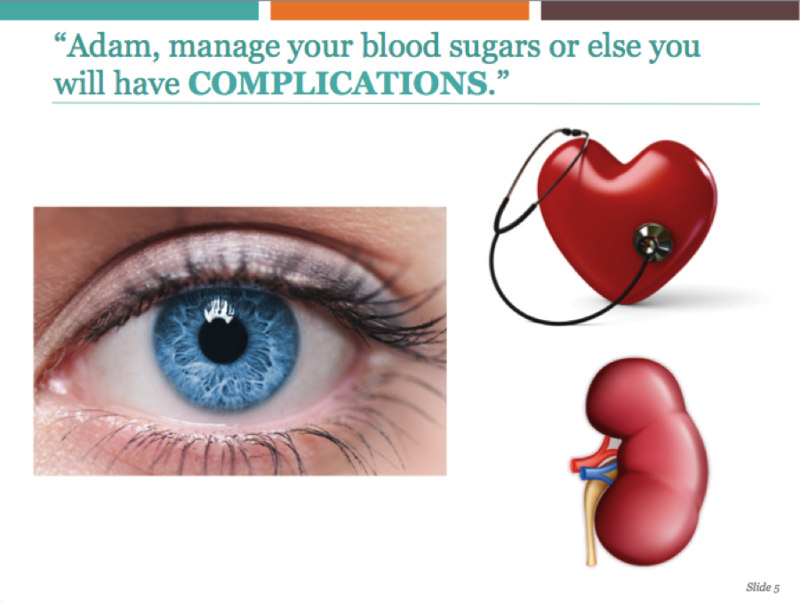 This is what I was told as a teenager – manage your diabetes or else you will have complications (eye damage, kidney damage, nerve damage). I couldn’t really wrap my head around this logic, since these long-term benefits felt too far off to matter. 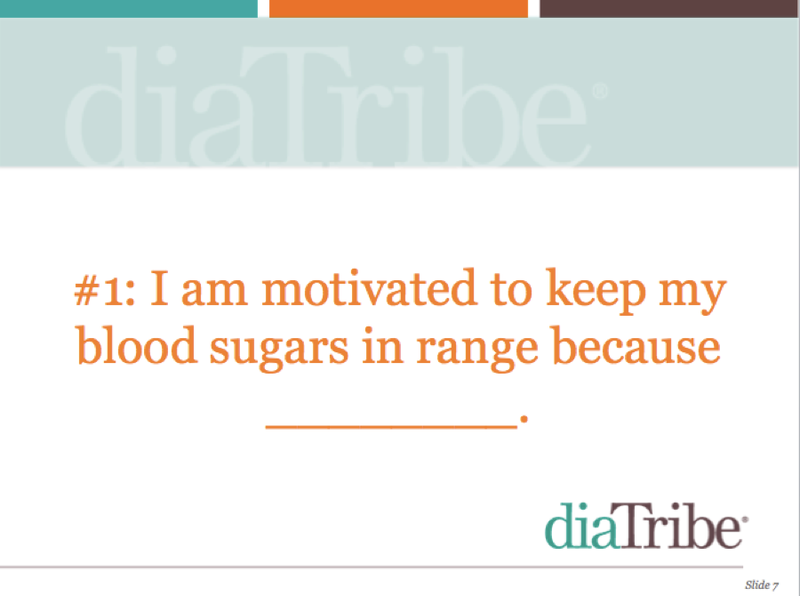 Consequently, my motivation to deal with diabetes was fairly low. 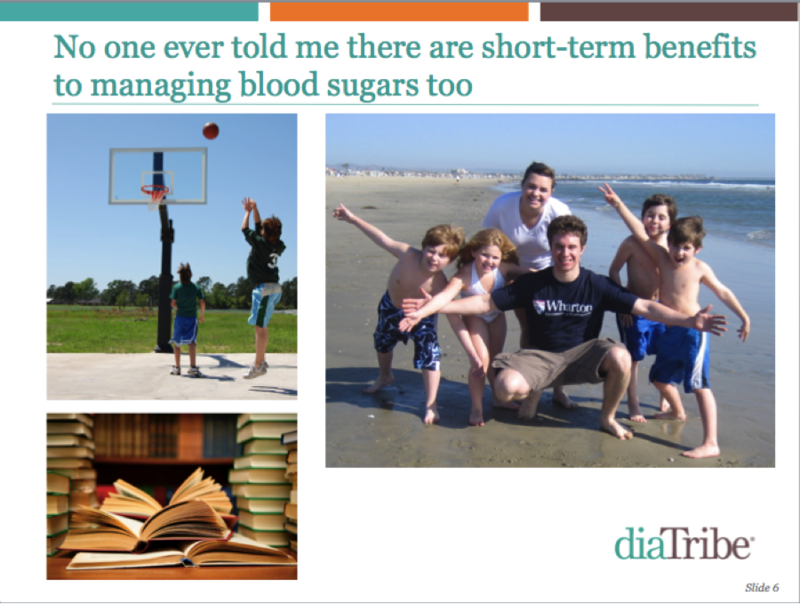 As a teenager, no one ever told me that there are short-term benefits to managing blood sugar, like having more energy for sports, doing better in school, or being a happier and more pleasant person to be around. I wish I had known that! This leads to tip #1 – the most important thing I would say to my teenage self. 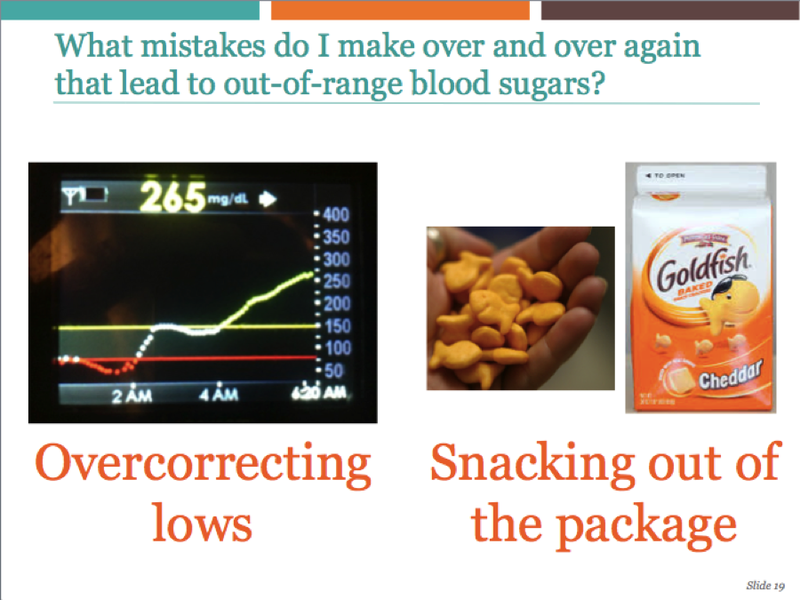 Try to think of a compelling, immediate reason that in-range blood sugars benefit you. It will keep you motivated on those days when nothing seems to be going right. 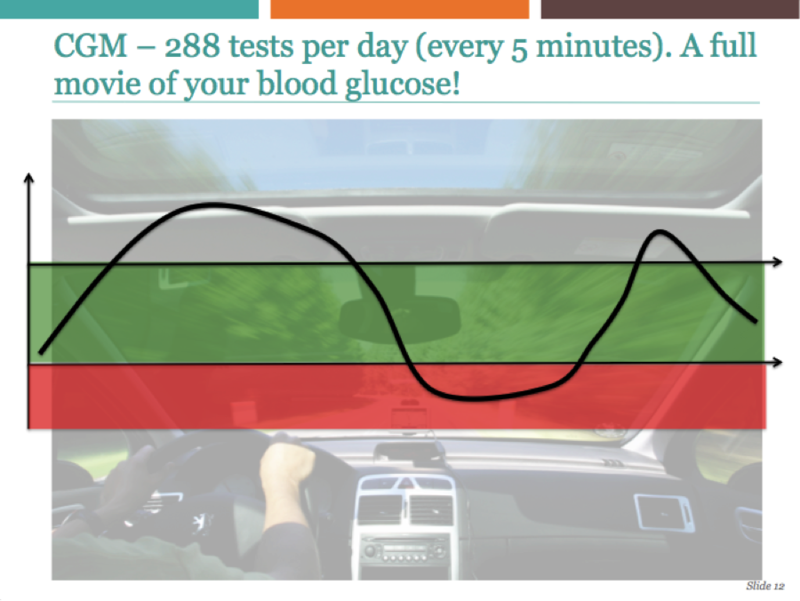 For me, better blood sugars give me more energy to live life; help me think more clearly at work (and thereby help more people with diabetes); and make me happier, less stressed, and more pleasant to be around. 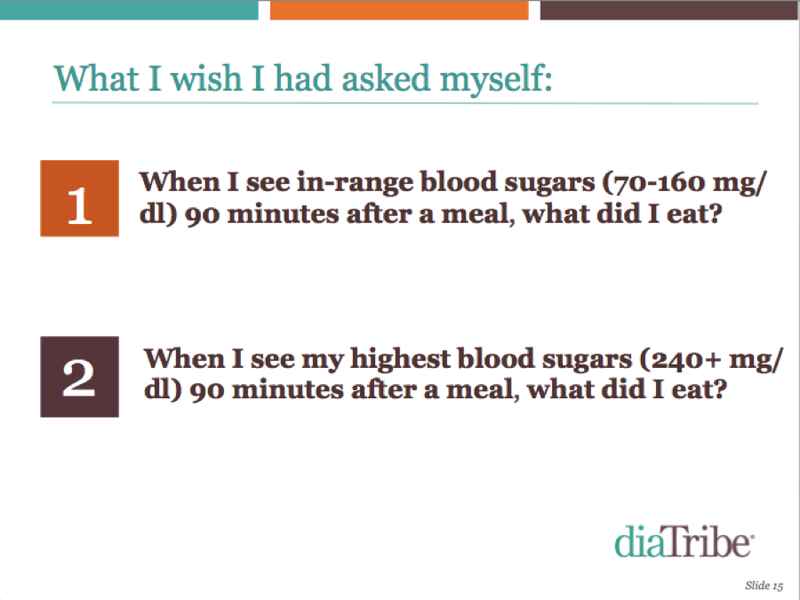 For the second tip, let’s move on to a useful analogy to think about measuring blood sugar. No one ever explained diabetes like this, but I think my teenage self would have found it useful. 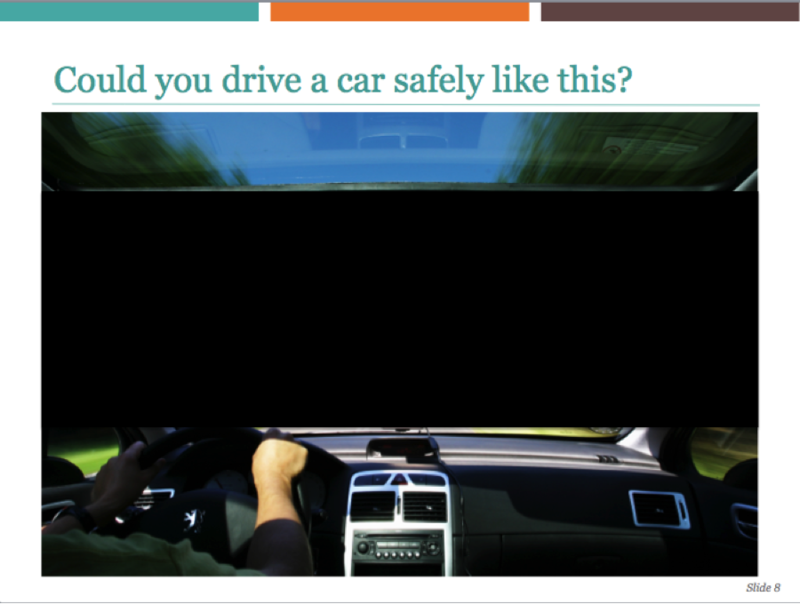 You can drive more safely when the windshield is clear! Here’s the same analogy in diabetes form. 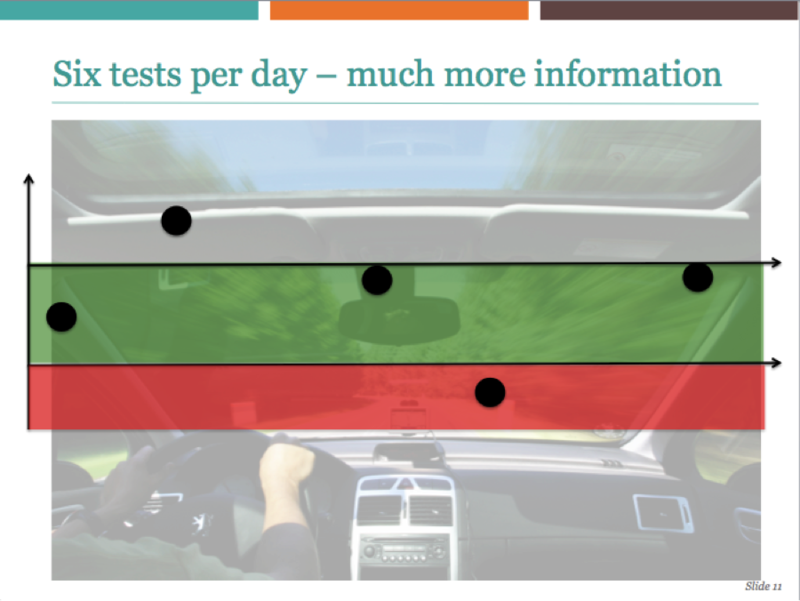 I typically tested only 3-5 times per day as a teenager, just like driving a car with most of the windshield blacked out. 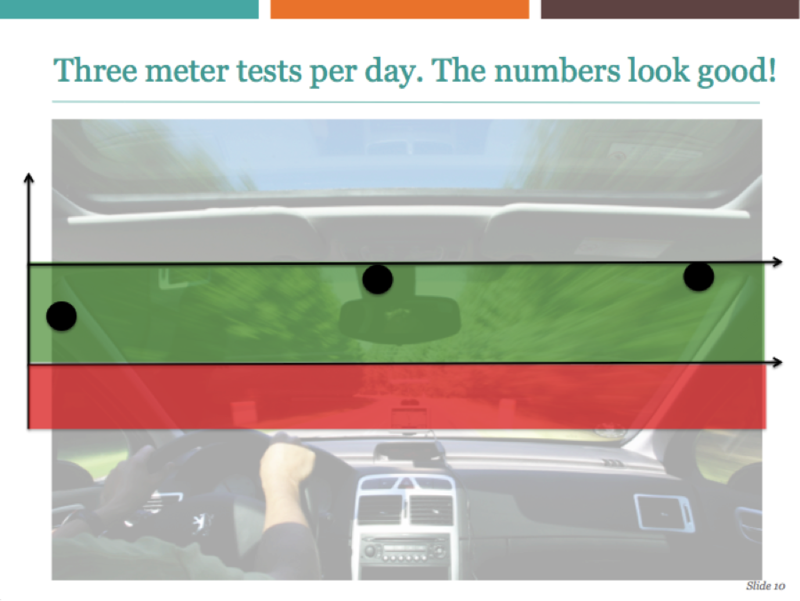 In college, I began testing more often, which gave me a lot more information about my glucose, and allowed me to correct things when I veered off course. I could see out the windshield a little bit better. Getting on CGM was a total gamechanger for me – it was like seeing my diabetes in a movie for the first time, rather than isolated pictures a few times per day. A clear windshield! 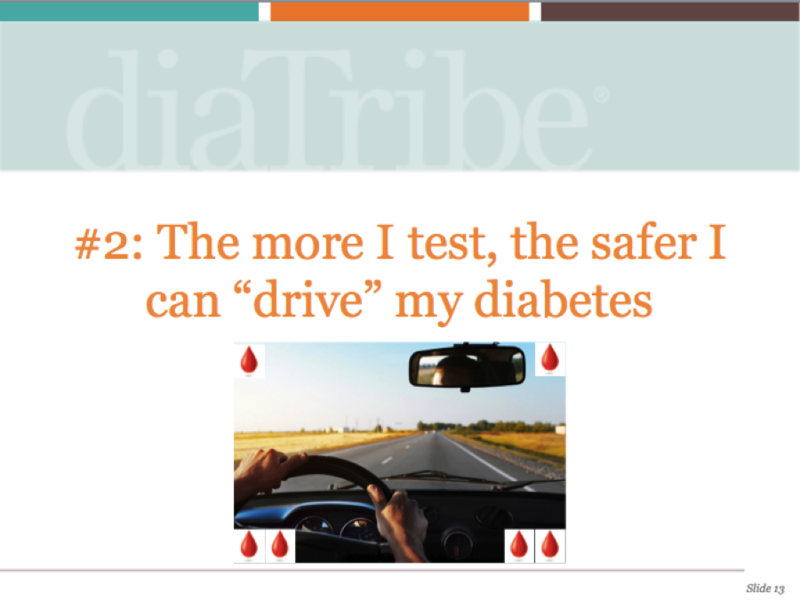 This leads to tip #2: just as you wouldn’t drive a car without looking out the windshield, it’s hard to safely “drive” your diabetes without testing your blood sugar often. 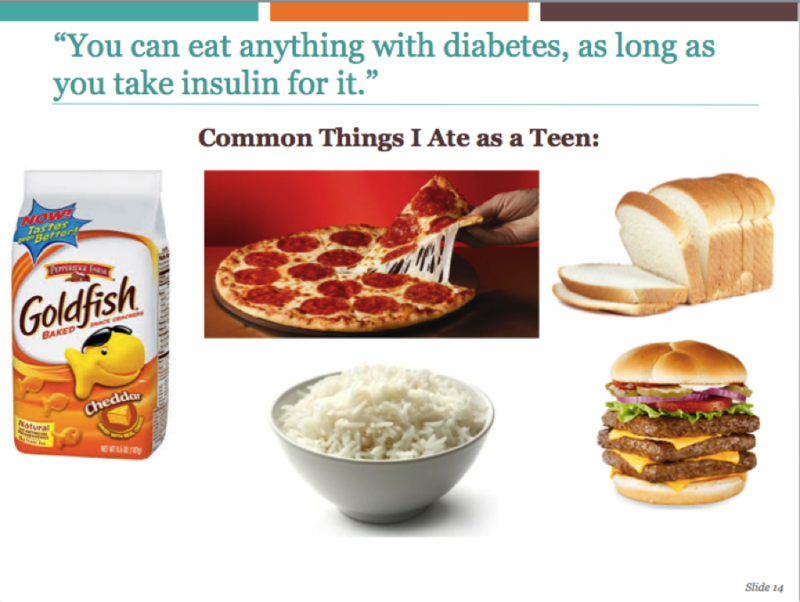 This was the biggest diabetes mistake I made as a teenager: eating as if I didn’t have diabetes. It set me up for failure, since insulin just works too slowly to keep up with these foods; I didn’t test often enough to correct mistakes; and I couldn’t estimate carbs very well. 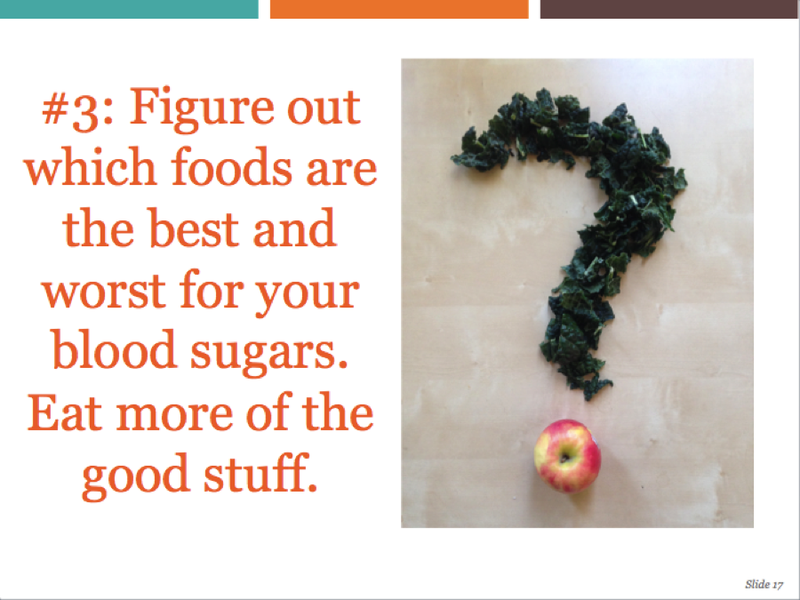 Asking these questions would have guided me towards different foods. See my 10 Diet Commandments for more on this front. I recognize my way of eating isn’t for everyone, and my teenage self could not have coped with it. But even making one different food choice per day would have made a difference. Take note when things go well and try to replicate what happened! 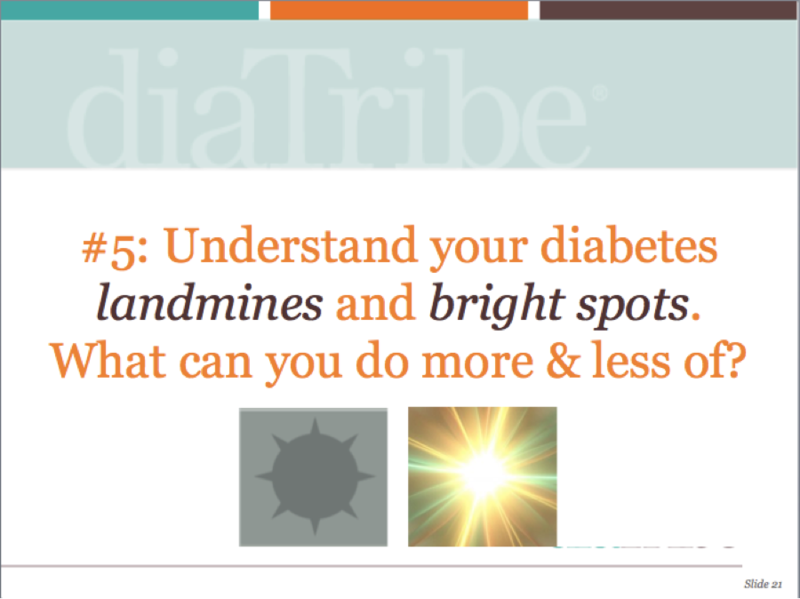 I call these diabetes “bright spots.” For me, bright spots happen when I exercise in the morning, get enough sleep, and follow my diet commandments. What works for you? These questions are easy to ask in the moment, but often dragged me down. I’ve found these types of questions to be more helpful. 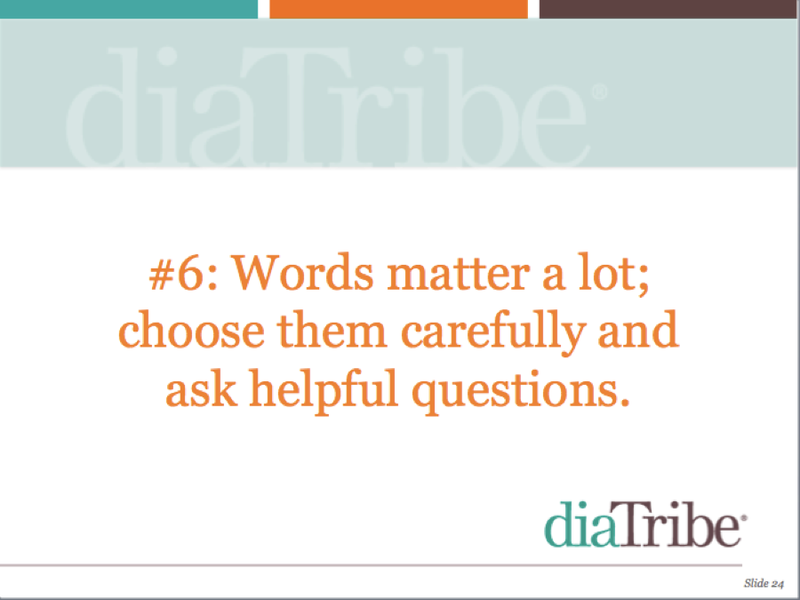 See this article for more on asking productive questions. 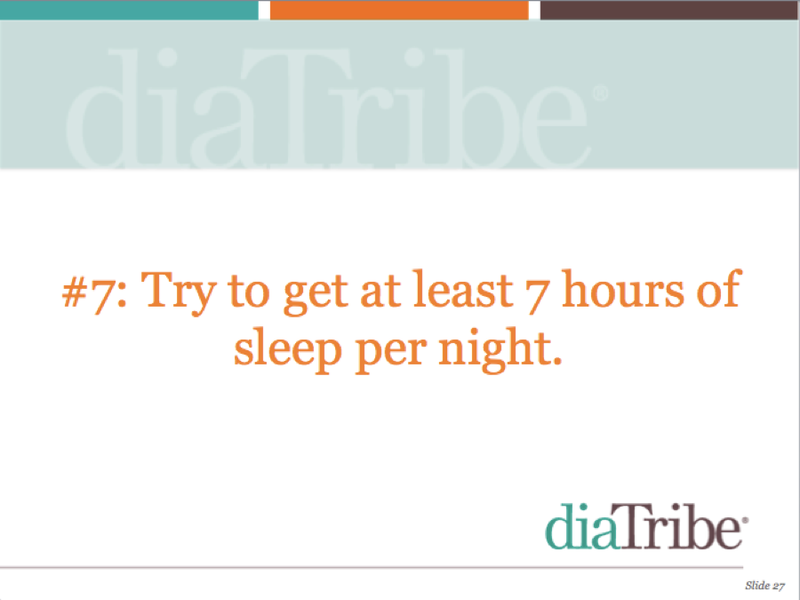 No one ever told me that sleep affects my blood sugars. 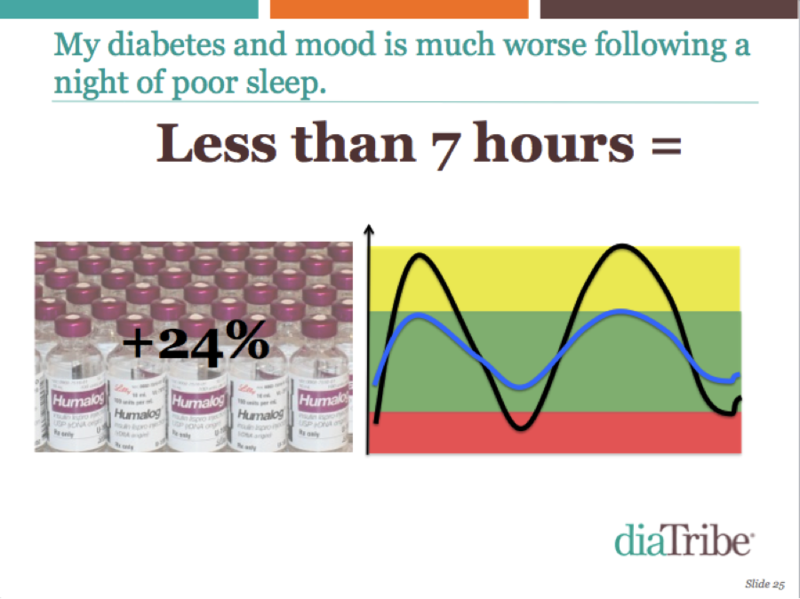 Following a night of poor sleep, I need about 24% more insulin and see much more variable blood sugars. I didn’t get much sleep as a teenager, but perhaps I would have gotten more if I had known what a difference it makes to my blood sugars, mood, and energy levels! Read more about my sleep experiment here. 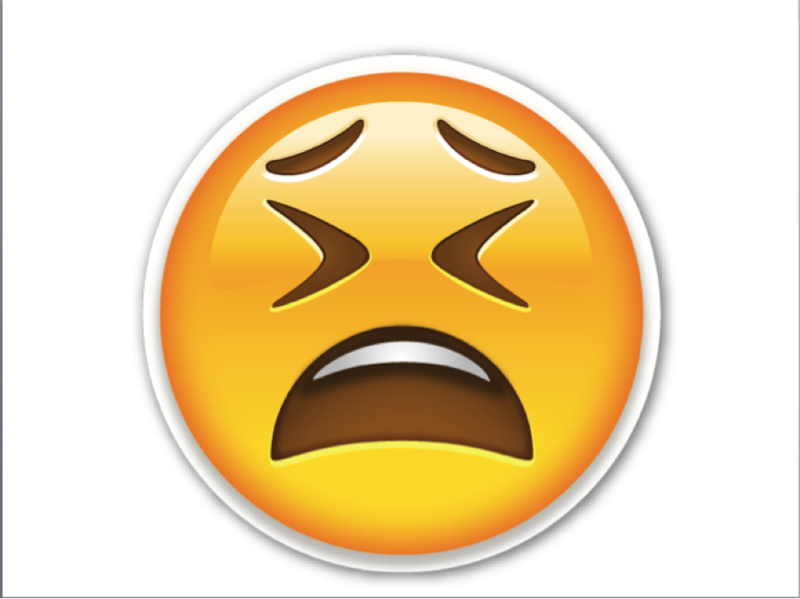 This is how I so often felt in the mornings as a teenager – part of this stemmed from not sleeping long enough, and part probably stemmed from having high or low blood sugars over night. How amazing it would have been to have had CGM back then! 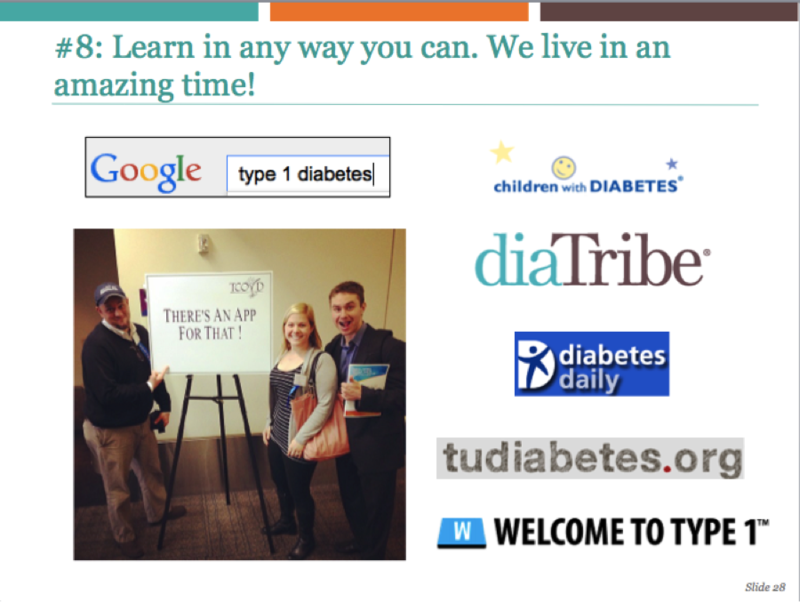 Everyone learns differently, and what’s exciting is the vast number of ways out there to learn more about diabetes. Figure out how you like learning and what resources you find helpful: online, in person, forums, articles, videos, etc. 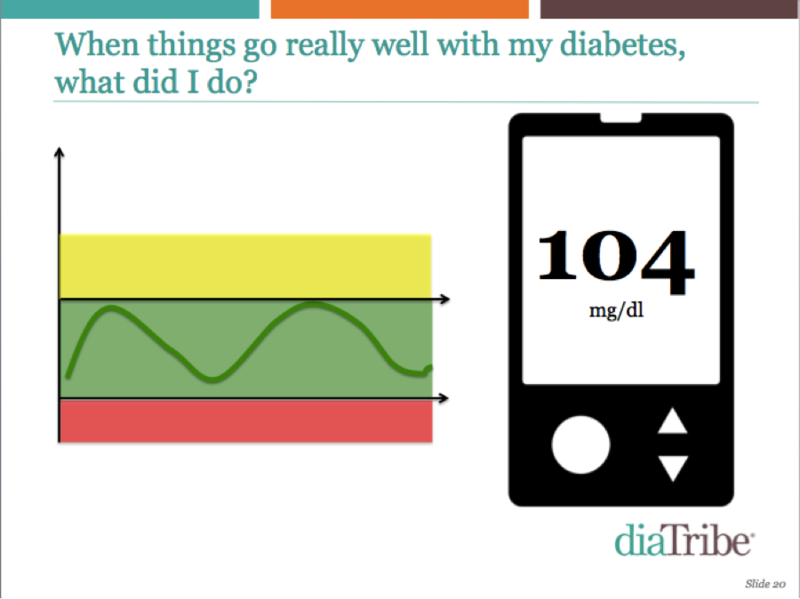 Learning more about diabetes has made a tremendous difference in what I do on a daily basis. Those around you have a tremendous impact on your diabetes – whether you realize it or not. 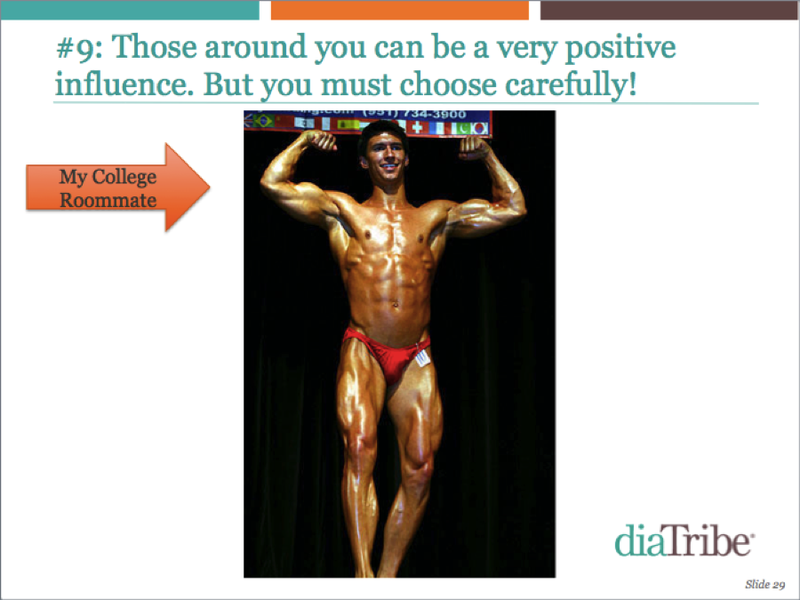 My college roommate was a bodybuilder, and that had a profound influence on me. His discipline and dedication to eating well and exercising rubbed off in so many ways. I try to surround myself with people that support my diabetes – it has made a big difference (and still does)! I’ve been lucky to travel all over the world with diabetes, including cycling trips, hiking in Peru, sailing in the Pacific Ocean, climbing mountains and volcanoes, and hiking on glaciers. 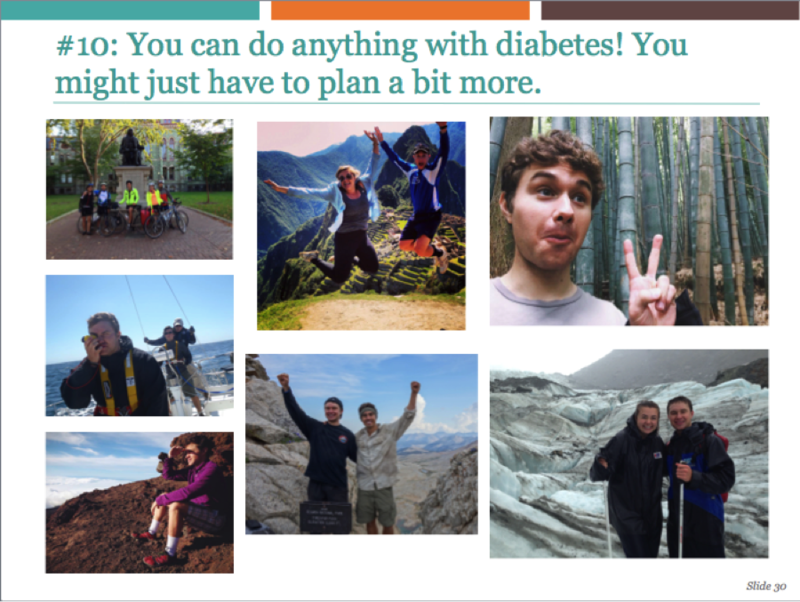 It’s all possible with diabetes – I just needed to plan a little bit more. 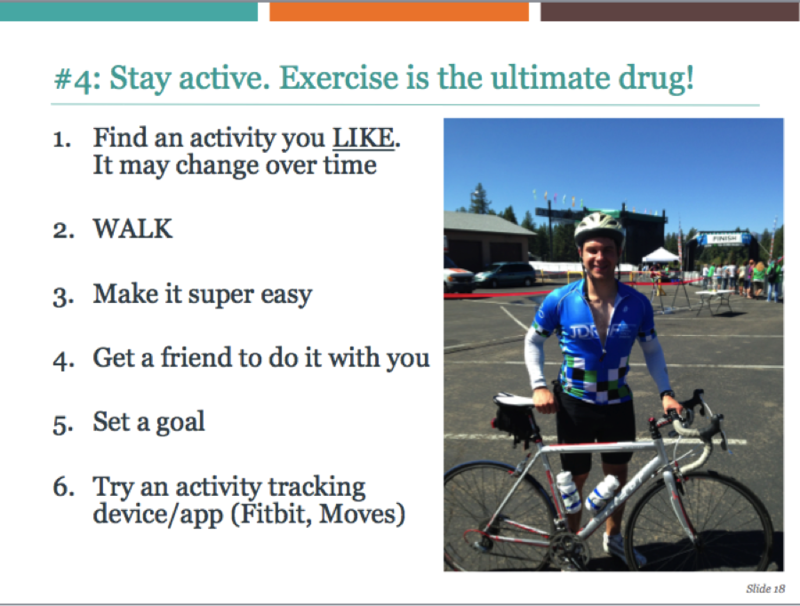 Don’t ever think you cannot do something with diabetes!